1. High quality stainless steel, unlike chrome finished material, food grade 18/10 stainless steel eliminates rust, corrosion, acids and alkali damages to ensure long lasting durability. 2.The flat design of the bottom tier can accommodate different glassware & tableware like saucers, cups, bowls & much more. 3. 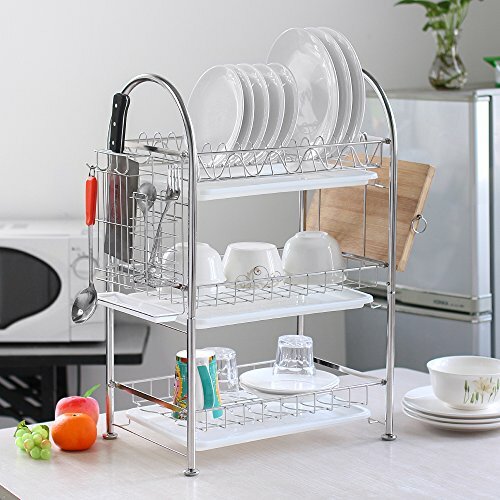 3 tier design can hold most kitchen utensils, etc.keep them tidy and dry. 4.The curved stainless steel handles on both sides make it easy to lift and move the drainer.